after partying at the witches ball most of the night. to get a bit of a 'glow'...it would also be great to use Distress inks behind it. I just quickly trimmed around the outside edge...easy! I colored her in with my Copics. 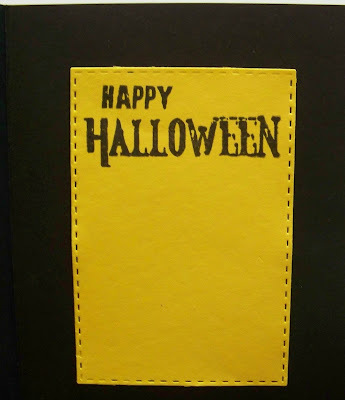 then stamped a 'spooky' Happy Halloween. That's it...pretty easy peasy...the dies do all the work!! Awesome...love the glowing background for the haunted house. 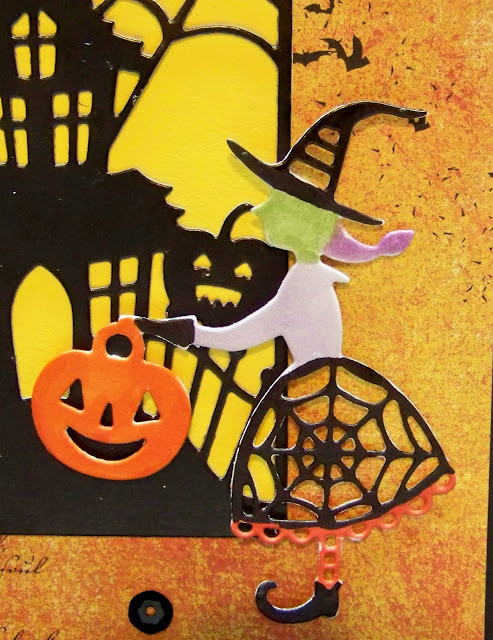 Cute witch and sequins are always the best embellishment! 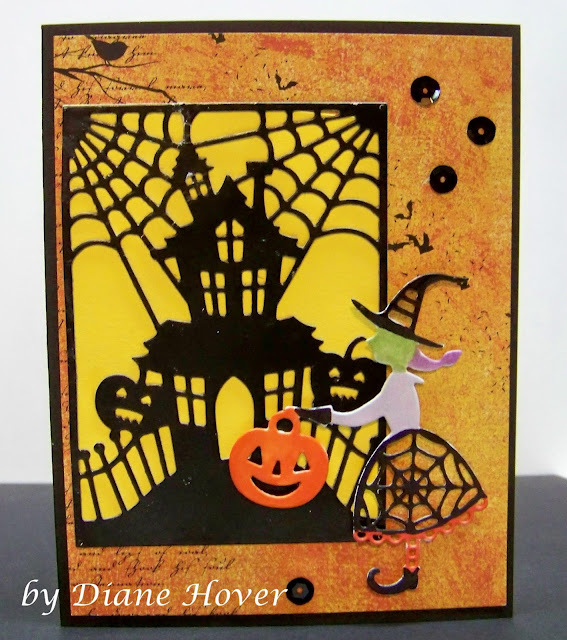 OMG this is fabulous Diane and love how you've created a 'Halloween scene' ... awesome inspiration!